These chapters show how the nations were formed, and how the people of this time period broke into groups, each speaking a different language. 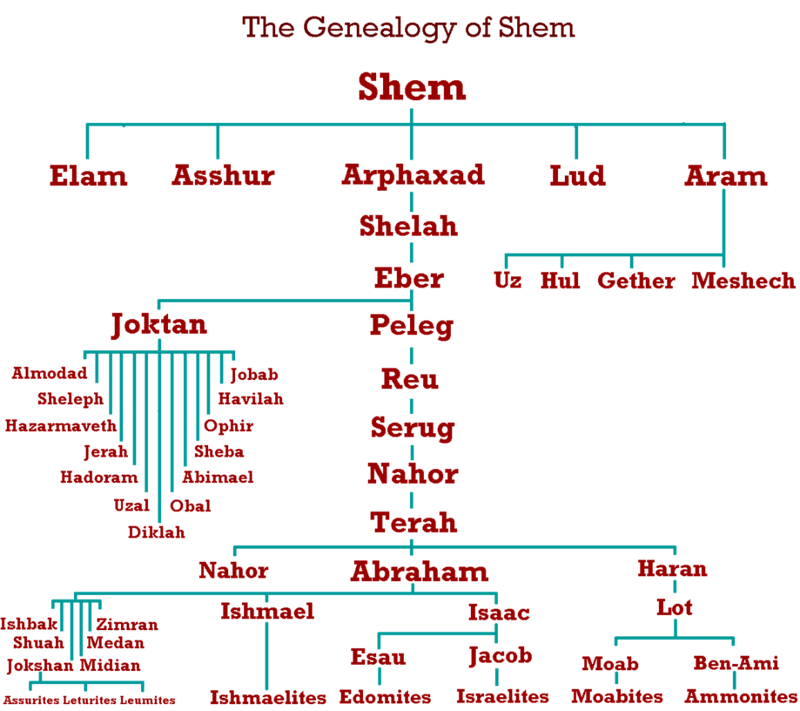 Chapter 10 outlines the people that descended from the sons of Noah, and chapter 11 details the events surrounding the Tower of Babel and the corruption of the one language that the Bible says that man spoke. I use these chapters to emphasize that while the book of Genesis is out to explain how things began (God, the earth, mankind, sin, and the consequences of sin) and these two chapters explain how the nations of the earth began. 1 1 .1-9: The tower of Babel. Whereas chapter 10 presents post-flood humanity as divided into nations, “each with its language” (v. 5), 11.1–9 attributes the emergence of linguistic difference to an act of Promethean hubris on the part of a humankind still unwilling to accept subordination to their Creator. 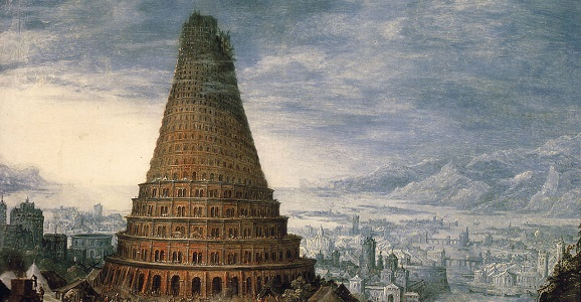 4: Since the narrative serves as an account of how Babylon got its name, the ambition of the builders to erect a tower with its top in the sky is properly compared with the prideful boast of the king of Babylon, “I will climb to the sky; I Higher than the stars of God I I will set my throne . . . . I will match the Most High” (Isa. 14.13-14). In our passage, one senses both astonishment at the advanced technological level of Babylonian culture and a keen sense that technology poses grave dangers when it is not accompanied by reverence for God. 5: A nice touch: Human beings erect the highest building they can, but even to see it, the Lord must descend from His heavenly dwelling. These two chapters in Genesis, while describing how the different languages and nations arose, teach that mankind is thrown into a world where differences exist. We may be different with respect to culture, skin color, language, and so forth – but we are to be one in Christ. 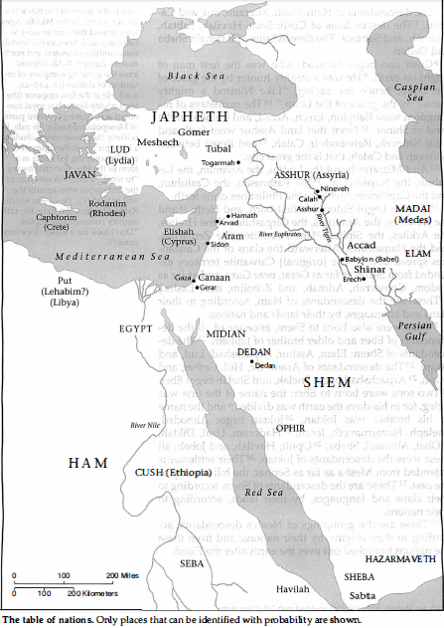 Much of the Old Testament is the story of how Israel is to make the name of the Lord known to all the world, while not letting the other cultures around them have a bad influence upon them (Abraham 1:19). In John 17:20-21 the Savior prays that those that follow him be one as he is one with his Father. It is when we see the differences among ourselves that we allow pride to creep in, and to let these differences be a wedge between us (see Jacob 2:13 & 16). While we live in a world of differences, we need to see others the way the Lord does, and see the world through heavens eyes. This entry was posted in Old Testament, Prophets. Bookmark the permalink.